There are countless factors to consider when choosing the right parquet before you buy it. These include not only the price and the quality but also the different types. These are suitable for different purposes and create a wide variety of optics. There are also some differences in the laying technique, which must be taken into account. 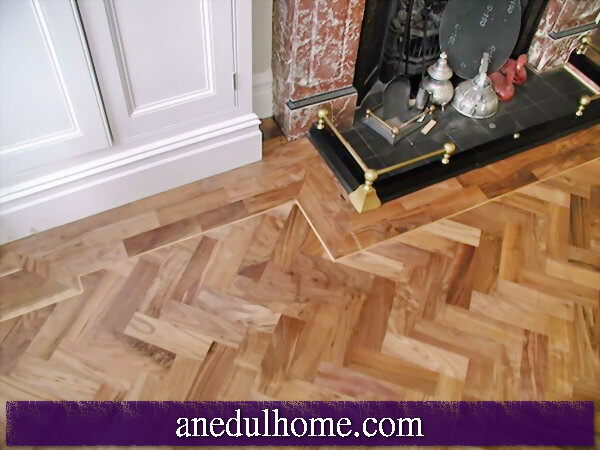 All in all, many factors must be taken into account until you have the perfect parquet for your desired purposes. The more specific differences and subtleties are clearly explained in the following paragraphs. This distinction is clear it is about the coating of the parquet floor. The single-layer parquet is not yet coated. In order to protect it well, it should therefore first be abraded several times and professionally. Afterwards appropriate oils and waxes can be applied. These offer in addition to the protection of the wood in addition, a good glossy appearance. In multi-layer parquet, these steps have already been carried out. Therefore, these tiles then only need to be laid and can then be used without further treatment. It is a very general subdivision, among which most of the species presented later also count. One species that was originally one of the single-layer parquets but is now also available as a multilayer parquet is the Plank Plank. It is characterized by the rustic look. The planks are usually very large. They are usually dark and give a very classic look. The type of wood can vary and depends on the taste of the customer. Another visual advantage is that the size of each plank also retains many details of the wood itself. Overall, the room must of course be designed appropriately, but also contrasting facilities often look very good. This type of parquet is a floor that can convince particularly visually. The individual planks are usually first square and then have four more equal square shapes on the surface. These are then aligned in different directions, which makes them very stylish. This type is more likely to be classified as a single-layer parquet. Thus, the surface must still be treated after installation, however, so the seal can also be designed according to your own wishes. The solid wood planks are the purest and most classic form of parquet. They consist only of whole pieces of wood and not of compressed parts. Therefore, the quality is usually rather high but when buying definitely to be observed. However, if the quality is well chosen, you can also assume that the parquet can be used for a long time. During the after-treatment, care must be taken that either oil or varnish is used. This type of parquet is one of the more simple parquet types. It is very easy to lay and offers a solid and simple look. The size is usually between about 25 cm and one meter in length. The different sizes can also be connected very interesting. With good planning, it is thus possible to create unusual overall impressions. In principle, however, simple patterns are also possible. Further common types are edgeband parquet, board parquet and lamparket. They are characterized by different properties and patterns. When laying parquet, there are many different techniques for finally fixing the laminate. One of these techniques is the click technique, which is also common in laminate flooring. When laying this technique, care must be taken to ensure that the right sides are adjacent. Then, with a simple click, the click can be performed until the first row is complete. Then it goes on to the next row, in which then the next planks are clicked in with a light tap. This technique is considered to be very simple and can often be done by DIY enthusiasts without the hassle of additional equipment. Other techniques that are not particularly costly are gluing and nailing. For this, the individual planks usually only have to be pushed into each other before they are finally secured. For the adhesive, the planks should first be assembled in sections and adapted to the size of the room. Then the glue is applied to the floor and the assembled piece is attached to it. With this technique, the adhesive causes additional costs. Fixing the parquet with nails is no longer done very often these days. However, if necessary, it can be done well with a nail gun. For the amount of glue you should consider the size of the room, so that the floor can be covered with sufficient glue. When buying parquet In addition to the differences already mentioned are also distinguished in the optics strong. For example, there are many different colors of parquet. In principle, this depends on the type of wood. Of course, this also determines the price. Especially with the later sealing can be set even more accents, which usually make the floor look very high quality. In addition, there are also a variety of patterns. These are either incorporated directly into the floorboards or can be achieved by the targeted laying of the floorboards. A very popular design is the ship's bottom pattern. Parquet is very versatile and therefore almost all optical wishes can be realized. Of course, this versatility also affects prices and quality. It can be laid very simple and therefore cheaper floors, but also high-quality planks with appropriate unusual appearance. Therefore, especially with more complex designs, the advice of a specialist and the appropriate quality in the choice of parquet is again recommended. In addition, when purchasing, it should be noted that additional material costs may still be incurred in some species. Parquet is considered to be a very diverse soil material with many different choices. In particular, the type of wood, the method of production and the technique of laying are considered to be crucial differences. The price range is correspondingly large. General contractor or individual contracting - what is the better choice? Setting the Drywall: That's the way to succeed!